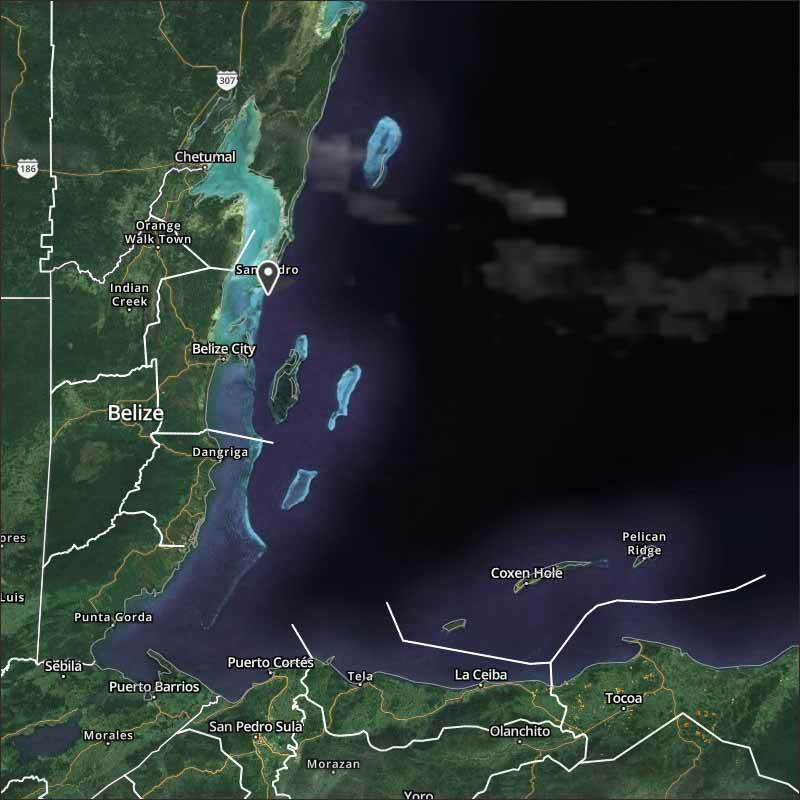 Belize NMS: Generally fair weather conditions prevail over the area. Generally fair weather conditions expected to prevail through mid-week. Today: Winds: E-NE 5-15 kt. ; seas: Choppy. ; waves: 3-4 ft.; isolated showers. Tomorrow: Winds: East 5-15 kt. ; seas: Choppy. ; waves: 3-5 ft.; isolated showers. Marine Outlook: Monday night: Winds: East 5-15 kt. ; seas: Choppy. ; waves: 3-5 ft.; isolated showers. 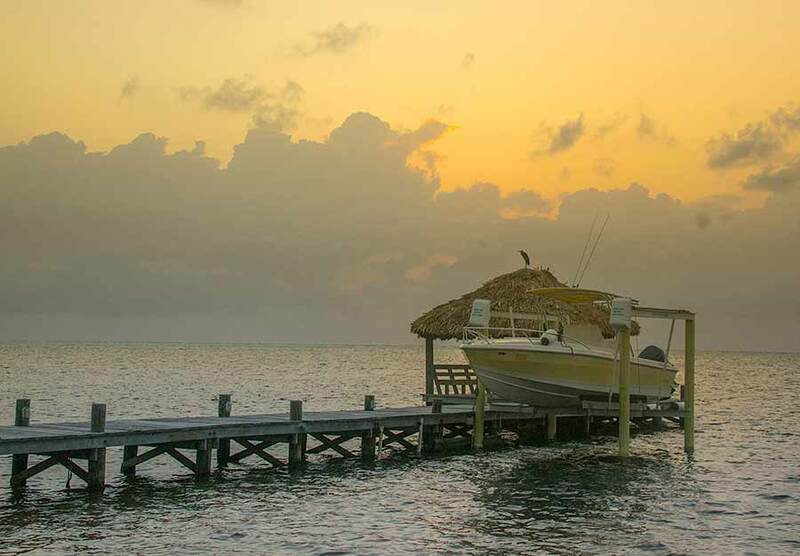 On Ambergris Caye this morning the sea is calm and sky clear. The breeze is from the South-East at 4 mph. 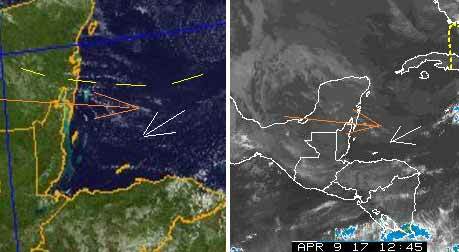 with an expected high is 86 f.
Clear night sky, Caribbean air sort of coming down from the ENE. There is a sort of weather line just north of Belize, which did have a little rain in it during the early morning, but that drying up now. The high level winds are almost out of the west, but very thin over Belize. Looks like today will be a hot sunny day, some white clouds will develop later, no indication of any rain.